Thinking of buying a new computer? You should also think of how to transfer all the files from your old PC to the new one. 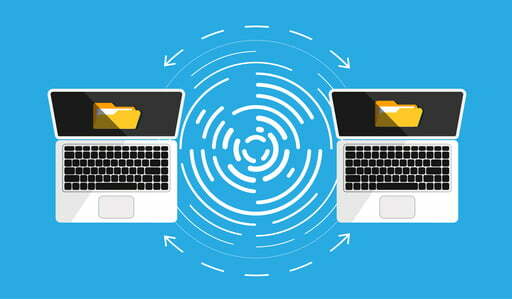 In this article we will go through some simple ways to transfer a large number of your personal files. Some of them require technical skills, while others are quite simple to use by everyone. The first way you probably think of is using external physical storage like a USB flash drive. It’s really the most simple way to transfer files from one computer to another, yet if you need to copy a really big amount of data, you may face a problem. You’ll have to copy your files in batches and it may take a while. The copying speed also depends a lot on the type of USB drive and there’s nothing you can do to make it faster. Another tye of external storage is an HDD. If you have the skills to link the external drive to your computer, you can transfer your files using SATA, which will be much quicker than any type of USB. If both of your devices are located close to each other, you can use your Lan or Wi-Fi network to transfer the files. In this case, you’ll have to do it with the help of special software or built-in system features. Let’s have a closer look at both options. In order to share access to your drive via the Internet, you can simply use the built-in feature that all major operating systems have. Create a home network and connect your devices through it. You don’t need to set up your network each time you need to share files. By doing this once, you’ll always have your devices connect automatically when you turn them on. Here’s a simple guide to help you set up a home network between Windows and Mac. If both computers are using the same Wi-Fi network, you can transfer your files with the help of special software, without having to set up a home network. Usually, this kind of software is available for all operating systems, so you won’t have any problems if you need to transfer files from Mac to PC, for example. Don’t want to spend time looking for good software for file transfer? You can always rely on a cable when transferring from one computer to another. Basically, this is a hardware solution similar to using an external drive, but when you use an extra HDD you’re transferring between 3 drives, while a cable lets you copy files from one HDD directly to another. How to transfer files from PC to PC: the easiest way is using a USB cable, but the speed may not be that good, if one of your computers has USB version under 3. How to transfer files from Mac to Mac: the Thunderbolt port is designed by Apple specifically for direct file transfers. Simply create a cable chain between your Macs and share your files pretty much the same way as using the USB option for Windows. Windows/Mac/Linux to Windows/Mac/Linux: Think of using an Ethernet cable and make sure it’s a crossover one. Set up the network on both computers and you’re ready for file transfer. If both computers have USB-C ports, things will be much easier. It’s very likely that your new computer has an SSD, unlike your old PC, which probably uses a standard HDD. Both of them connect to the motherboard using the same SATA connection, so if you feel comfortable tinkering with hardware, just find a spare SATA port on your computer and connect the HDD from your old PC. The system will recognize it as a regular drive and you’ll be able to just copy and paste your files from one drive directly to the other. This is the fastest way, however finding a free SATA port on a laptop may be an issue. 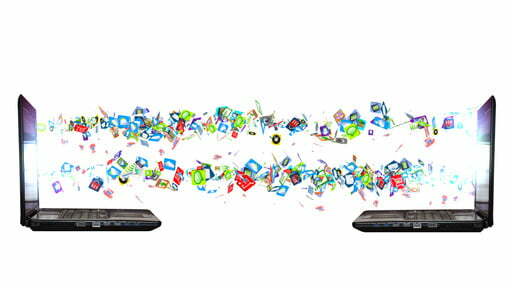 Another high-tech way to transfer big files is using cloud storage. It’s a solution that’s based on software alone, so you don’t need to be involved with any hardware tweaks. Depending on the total size of files you want to transfer, choose a cloud service that will work best for you. We have a quick guide on how to choose them wisely here -> Transfer Big Files with Cloud Storage. If the total file size is really big, you may have a problem finding a service that will help you transfer your data online. FileWhopper lets you make transfers up to 1TB, which is more than enough for most purposes. This option is the best, as you only pay a one time fee and don’t need to subscribe for a monthly storage plan. What’s Your Preferred File Transfer Method? Depending on your situation, you can choose between a number of hardware and software options to transfer your files from one computer to another. While with a hardware solution you will most probably have to find and/or purchase a special cable or an external drive, the software options let you do it without leaving your room. If you need to transfer your files as quick as possible, think of connecting your old drive to the new computer directly. But if you don’t want to bother with all those cables and ports, look for an online solution, as web transfer may be right for you.